At this point, "Steven Soderbergh shoots movie on iPhone" doesn't have the ring of novelty it once had. Last year, he released Unsane, an often silly psychological thriller in a mental hospital starring Claire Foy, where the 7 Plus's cinematography reinforces the paranoid claustrophobia of the subject matter. 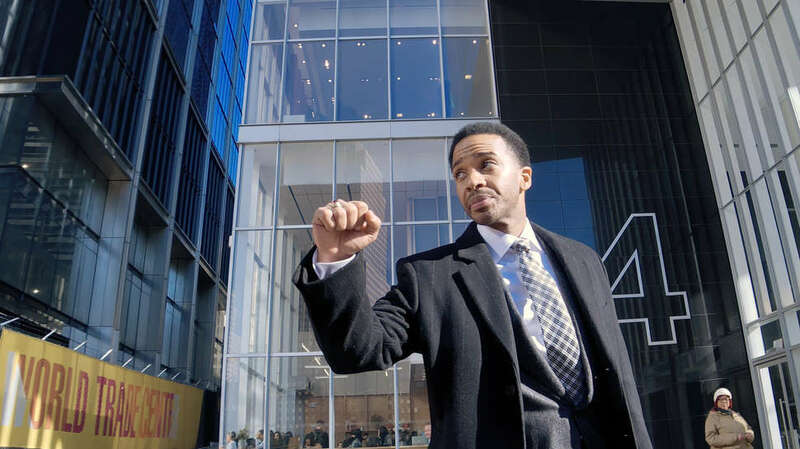 But in High Flying Bird, which just dropped on Netflix, Soderbergh's iPhone lens serves a different purpose, yielding something brilliant: a movie about the digital age, made with a newfangled tool, but one that seeks to question and obliterate old social structures. Written by Tarell Alvin McCraney -- the playwright whose early project inspired the Oscar-winning Moonlight -- High Flying Bird is a tight, fascinating drama set during a long NBA lockout. The players and owners are at a stalemate in contract negotiations, and agent Ray (André Holland) is feeling the weight of the impasse. His corporate credit card has been turned off by his company, his assistant (Zazie Beetz) has been moved onto another desk, and he's counseling a young rookie Erick (American Vandal's Melvin Gregg), through a potentially disastrous financial situation. The camera follows Ray through offices and bars, courts and steam rooms as he plots his way out of this bind, disrupting the notions of how basketball should be watched and played along the way. 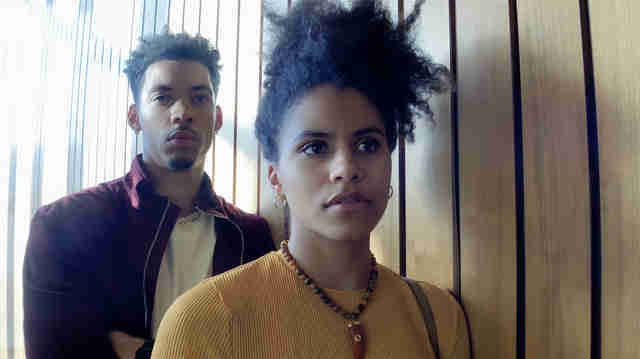 Ray's plan, in one sense, is in line with the buzzy tech crutch of "disruption" -- a word that's been associated, unsurprisingly, with Netflix, the very platform where High Flying Bird is available. (This does not go unremarked upon on screen; it's one of the rare moments that rings false.) Eventually, Ray pits Erick against a fellow recruit, jockeying Twitter disses into a one-on-one match-up that becomes a viral moment captured on -- what else? -- viewers' phones. It's a genius, independent workaround that proves that players aren't necessarily beholden to the league and its network television deals. That's where Soderbergh's use of the iPhone feels essential, both on a plot and stylistic level. The digital images conjure a sense of immediacy: Gray days feel grayer and angles are less forgiving. A glossy filter has been removed, moving the viewer closer to the action, just as Ray intends. But Ray's designs to upend the system are weightier than just manipulating social media to his own ends. As a movie about the sports world that's not really about basketball at all, High Flying Bird is analogous to something like Jerry Maguire. But Soderbergh's a filmmaker who has long been interested in characters who live at the mercy of an unforgiving economy, and McCraney's screenplay is less enamored with the outsized personalities that exist adjacent to the court than it's concerned with the ways in which massive moneymaking organizations like the NBA are complicit in exploiting black bodies. The script cites the racist legacy of that institution, noting how it wasn't integrated until teams wanted to sign members of the Harlem Globetrotters. It remarks on how words like "owners" imitate the language of slavery. In the film, the elderly Spencer (Bill Duke) -- a friend of Ray's who runs a basketball program for young people in the South Bronx -- has a rule for anyone who invokes slavery, especially in relation to basketball. He or she must say, "I love the Lord and all His Black people." Ray is a figure caught in the crosshairs of consumerism and activism, and McCraney and Soderbergh allow his allegiances to oscillate between those poles all the way to the very end. (And to fully appreciate the conclusion, you might want to familiarize yourself with the work of activist Dr. Harry Edwards, who cameos.) Holland -- probably best known for his work in Moonlight and Soderbergh's TV series The Knick -- is absolutely magnetic. Ray's a master at never showing his hand, and in turn, Holland is as well, deftly delivering the multitudes packed into McCraney's dialogue. (There's a lot of talking in High Flying Bird to the extent that one can envision it being staged as a play. In other words, you're going to want to pay attention.) He's surrounded by other formidable actors, including Atlanta's Beetz as Ray's erstwhile assistant, who is similarly ambitious and savvy. Sonja Sohn is a thrilling scene partner for Holland as the exasperated rep for the Players Association in need of a drink, while Kyle MacLachlan is oily as a team owner. Most of the narrative consists of lengthy, and at times, complicated conversations, but with performers and words this good, it's like watching LeBron go up against Steph. There aren't any action scenes in High Flying Bird -- there's barely even any basketball in it -- but it's nonetheless thrilling, nimble, and funny, even as it does the hard work of challenging the idea that professional basketball is just entertainment. An iPhone might be a small device, but it's a powerful one, and this film's aims are nothing if not big.